Jerad Kynaston (center) pleaded guilty to a drug charge to avoid a mandatory life sentence for growing weed. U.S. District Court Judge William Nielsen had enough of the kerfluffle unfolding in front of him Tuesday morning. As attorneys on both sides of a marijuana grow operation case traded blows, Nielsen directed them to meet out of court to resolve their issues. Then report back to the court, he told them. Two of the five co-defendants — Jerad Kynaston and Samuel Doyle — pleaded guilty later that day to lesser charges. Doyle avoided a mandatory 60-year sentence. Kynaston avoided a mandatory life sentence without the possibility of parole. But the agreements only came after a contentious hearing where defense attorneys described a timeline of "vindictive prosecution" in a case that's lingered in the system for five years. "I'm just glad it got corrected, and the two guys with the most to lose are on the ground," says Douglas Hiatt, a Seattle-based attorney who represented Doyle. "At least they'll have a life when the government gets done with them. I feel sorry for anybody caught up in the federal system. There's no justice there." Joseph Harrington, acting U.S. Attorney for the Eastern District of Washington, could not comment because the case is still pending. 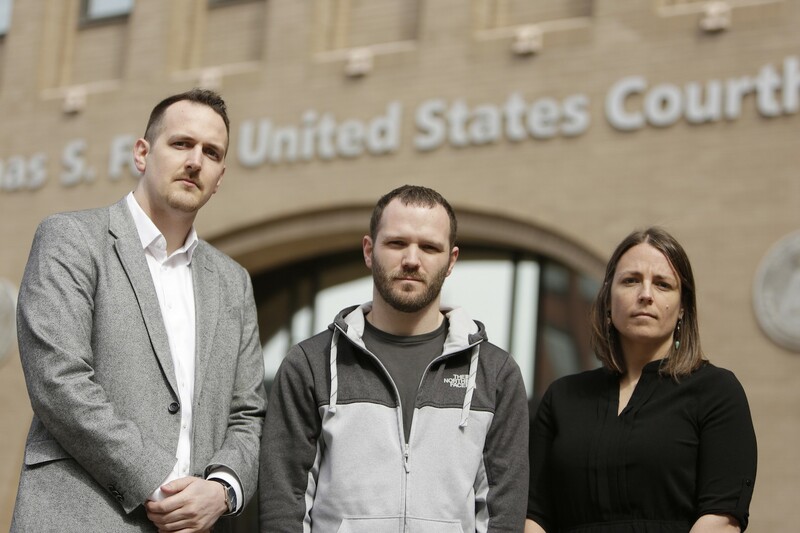 The five co-defendants charged with running an illegal weed growing biz have been living under threat of federal indictment since 2012. In May, it looked as if the case would be over for some. But about 48 hours before the three of the five men were ready to plead guilty, defense attorneys learned that federal prosecutors had failed to hand over a set of police reports from 2012. They accused the government of violating its obligation under the 1963 U.S. Supreme Court case Brady v. Maryland, which says prosecutors must show defendants all evidence that could point to innocence — one of the most serious accusations against a prosecutor that one can make. The men declined to enter their pleas and requested time to review the reports. "It fits the very definition of what vindictive prosecution is. If my client was trying to uphold his rights by just looking at the Brady material, that shouldn't allow the government to pull an offer, which we were going to plead to." Then, four days before this week's hearing, two men received revised plea deals that were "considerably worse" than the original offers, Spokane attorney David Miller told the judge. Miller suggested that U.S. attorneys were punishing the men for requesting to see evidence to which they were legally entitled. "This is clearly a violation and vindictive prosecution by the United States, judge," Miller said in court Tuesday. "It fits the very definition of what vindictive prosecution is. If my client was trying to uphold his rights by just looking at the Brady material, that shouldn't allow the government to pull an offer, which we were going to plead to." The difference between the first plea offer and the second? Hiatt, who represents Doyle, says the new agreement would have required the men to testify against their co-defendants without receiving anything in return. Judge Nielsen instructed attorneys for both sides to meet outside of open court. Later that day, Doyle and Kynaston both agreed to plea deals for lesser charges that eliminated mandatory minimum sentences and that do not require them to testify against the other three men. Davis, who is represented by Miller, and two other men have not accepted any deals and are still facing charges. The next hearing is set for September. For his part, Hiatt says he felt an urgency to resolve his client's case immediately due to the uncertainty surrounding President Donald Trump and U.S. Attorney General Jeff Sessions' drug policy. Sessions has already reversed some Obama-era guidelines for pursuing federal drug crimes. Sessions also asked Congress to eliminate the part of a federal spending bill that prevents the Department of Justice from allocating any money for medical marijuana cases in states where it's legal. "It's a political football, and I don't want my client subjected to that," Hiatt says. "You couldn't get the 10 Commandments through Congress if Moses was buying drinks." "I think the entire case was a huge miscarriage of justice," he adds. "I've been fighting the War on Drugs for 26 years. I don't think there's an iota of justice in it. The level of stupidity from this administration is not to be believed."